LOS ANGELES - Gritty and edgy video games, with a good measure of shock value, took centre stage at electronic giant Sony's media briefing today (June 11, US Pacific Time) - a day before the start of the world's biggest annual video game event, Electronic Entertainment Expo (E3). A number of these marquee games showcased spared no expense in highlighting the darker side of humanity (or what's left of it) with blood and gore aplenty. For instance, in the highly-anticipated Sony exclusive The Last of Us Part II, which is set in a zombie-infested post-apocalyptic world, there is a gut-spilling moment from a distance in one scene. In another segment, a female protagonist brutally hacks away at an assailant's neck. The violence does have context, which suggests the depravity of enemies and the heroine's desperation when faced with a kill or be killed situation. Another exclusive Sony showed off is the open-world samurai game Ghost of Tsushima. It is less gory but still has the protagonist dealing quick and bloody death to foes at a fairly close distance, with one enemy losing a hand in a short sequence. Not to be outdone, a trailer for the remake of 1998's Resident Evil 2 - arriving on multiple gaming platforms - features a frenzied zombie snacking on a victim's bloodied neck in some gross detail. These stomach-churning moments at Sony's event contrasted starkly with the briefings of several companies and suggested that Sony was keen to court older players who want more mature material in their games. 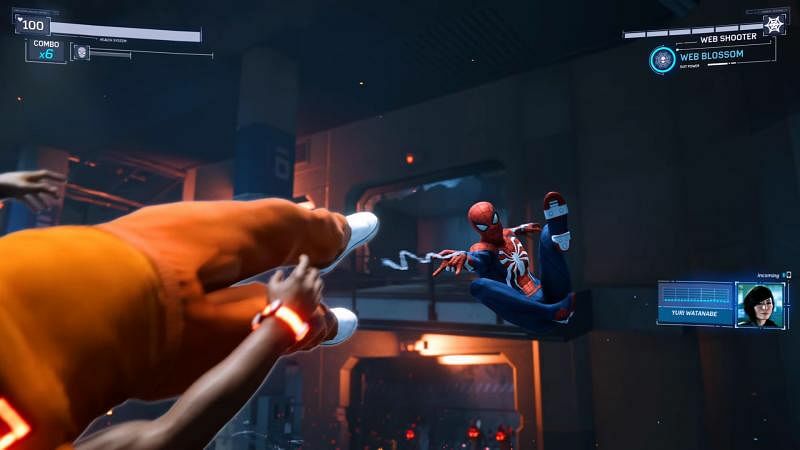 Sony also delved into four of its exclusives, including the Spider-Man game with more web slinging and swinging action, and the mysterious Death Stranding - from famed Metal Gear creator Hideo Kojima - with a sneaking segment. All four titles featured in-game sequences, and three of them were first time gameplay reveals - only Spider-Man had gameplay shown off in the past. Sony's presentation diverged much from rival Microsoft, which makes the Xbox One game console. The Japanese tech giant focused only on its games and nothing more, with just 17 titles, while Microsoft featured over 50 games at its pre-E3 briefing. Microsoft also announced a boost to its line-up of exclusive games by adding more game studios to its team, gave updates on its online game services, and briefly teased that a new Xbox console is in the works. Unlike previous years where journalists would be seated in one location, Sony built a make-shift church to present The Last of Us Part II and moved reporters, through a Japanese themed bridge, to a tent with seats and a wide screen where the Ghost of Tsushima and other games were featured.